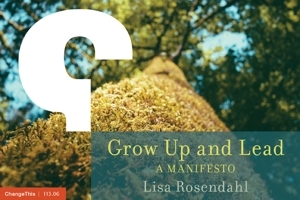 Lisa Rosendahl — Can You Handle the Truth? I just returned from a 2 ½ day training on Administrative Investigation Boards (AIB). The medial center director can convene an AIB to determine the facts in a particular situation or event. My role, and that of my HR staff, is to serve as technical advisors to the AIB board. I participated in the training to gain a better understanding the roles and responsibilities of the board and to explore ways that HR can better serve the board and medical center director. The training was awesome. The training was presented by a very dynamic group and addressed developing a sound AIB plan, formulating questions and developing relevant facts, applying effective questioning techniques and writing a clear, concise report. We saw clips from "A Few Good Men" and applied what we learned in mock AIB boards. There is a world of difference between being able to state what you can do in certain situations and having to apply that when there is a crying, out of control witness or an obnoxious lawyer in the room seeking to disrupt or control the board process. What were my "AHA" moments? The answers you get are only as good as the questions you ask. There is no absolute truth. You will come face to face with your own biases. You have to be present in the moment and listen to not only what is said, but also more importantly, what is not said. You cannot leave any question unanswered or path unexplored and that this takes courage. If you do this well, your results will be "gold" to the medical center director. Can you handle the truth? Yes, but the challenge is in getting there. What's the Gov Got to Do With It?